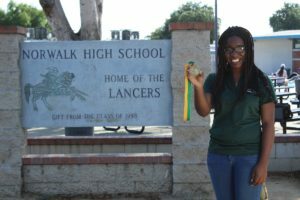 Follow-up Story: Top seniors from John Glenn, La Mirada, Norwalk and Southeast high schools visited their former elementary schools on May 12 to inspire students to work hard toward their goals and that anyone can go to college during the District's inaugural Kinder to College event. 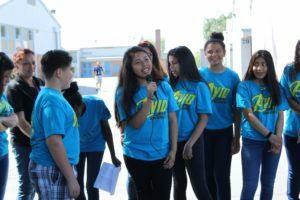 The District launched the event to promote a college-going culture from kindergarten through high school. 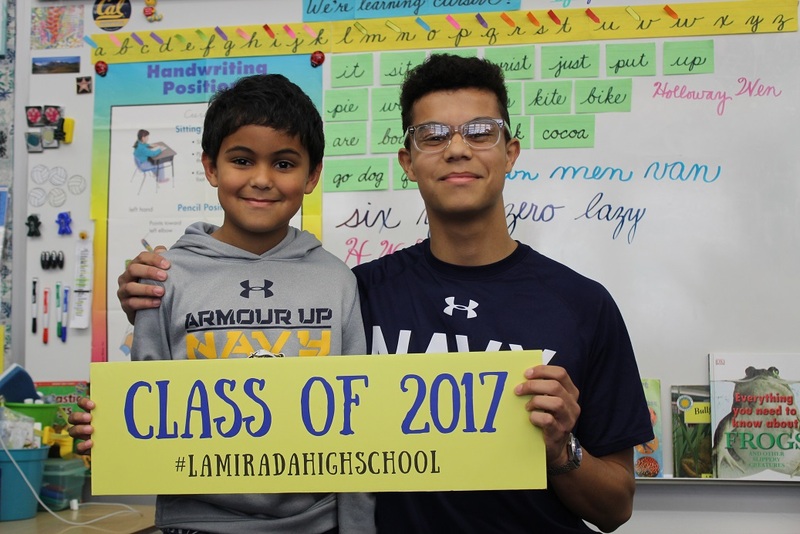 Students wore graduation caps and gowns or college T-shirts while they talked about the university they will attend and what they will study, or how they will serve the United States in the Marines, Navy, Air Force or Army. 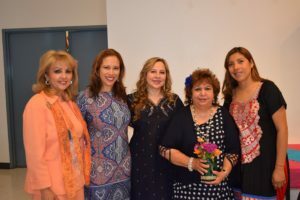 Norwalk-la Mirada Unified Board of Education on May 22 unanimously selected 21-year educator Jude Cazares as its newest board member. Cazares fills a vacancy left by Margarita Rios, who resigned April 5 after being elected to Norwalk City Council. Follow-up Story: Nearly 175 Norwalk-La Mirada parent volunteers were feted with a Bollywood dance performance from Eastwood Elementary fourth-graders and a catered lunch prepared by Norwalk High students during the 17th annual Day of the Parent celebration at Huerta Elementary School on May 18. The parents received certificates from their school principals and PTA representatives. Follow-up Story: Benton Middle School art teacher Jennifer Hodge inspires her students to adopt a life-long appreciation of the arts and apply their creative, critical thinking skills in other subject areas, earning her Norwalk-La Mirada Unified’s 2017 Teacher of the Year award. 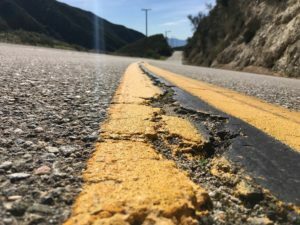 At some empty stretch of highway on the way to Mount Baldy, seventh-grader Genesis Sandoval laid down in the middle of the cracked and battered road for a photo that she believed encapsulated the essence of exploration and its many possibilities. Sandoval’s photo was chosen from hundreds of entries as one of eight winners of the 2017 California Streaming Digital Photography Contest. This is the second year in a row that a Benton Middle School student has been named a winner. 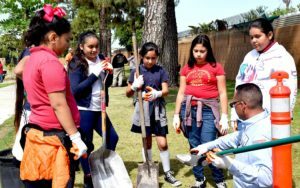 Follow-up Story: Students from two fifth-grade classes from Sanchez Elementary took up gardening gloves and shovels to join Norwalk city workers at Hermosillo Park to plant 25 Golden Medallion trees on April 25. The event celebrated National Arbor Day and taught students about the process of planting trees and the importance of caring for the environment. Photos are available. Norwalk-La Mirada Unified School District principals will serve up Big Mac combos and McFlurries to students and members of the community during McPrincipal’s Night scholarship fundraiser from 4-7:30 p.m. Tuesday, May 2 at McDonald’s, 12510 Norwalk Blvd., Norwalk. Principals will take counter orders while District administrators staff the drive-through and prep food. 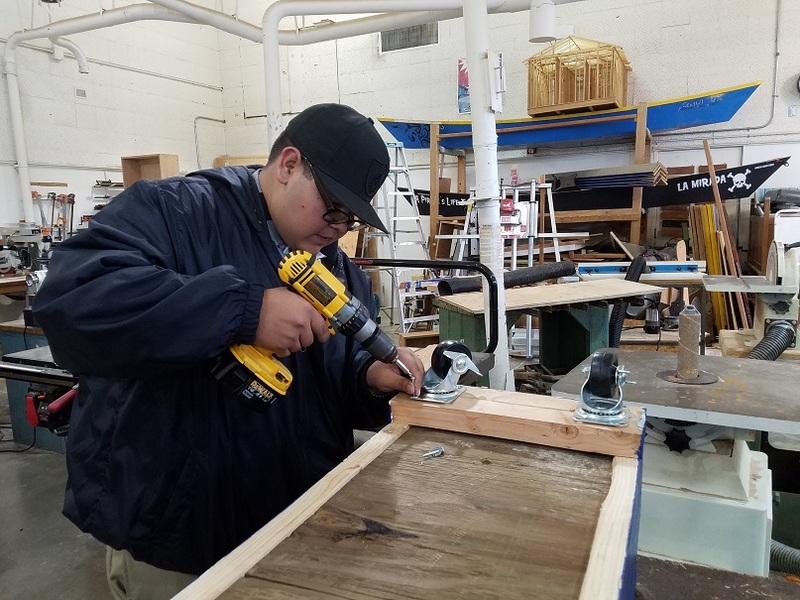 Follow-up Story: Norwalk-La Mirada Unified opened its final middle school college and career center at Los Alisos Middle School. The center will provide information on career pathways, UC and CSU admission, financial aid and college degrees. Los Alisos is the sixth NLMUSD middle school to open a college and career center.